All information, material, and content found on Laura Schoenfeld, RD’s website(s) is strictly informational. It is general information that may not apply to you as an individual, and it is not intended to serve as a substitute for your own primary care provider, physician, specialist, nurse practitioner, or other applicable medical professional’s recommendations, care or advice. Any and all medical care provided to you in connection with any medical or health-related diagnosis should be administered by your own primary care provider, physician, specialist, nurse practitioner, or other applicable medical professional. Accessing this website, reading the material contained in this website, or otherwise using this website does not create, nor is it intended to create a physician-patient relationship. You further agree that you shall not make any medical or health-related decision based in whole or in part on anything contained in this website. None of the opinions, recommendations, or information contained in this website have been independently evaluated by the FDA. Before following any particular recommendations, protocols, or suggestions presented by Laura Schoenfeld, RD, you must consult with your primary care provider, physician, specialist, nurse practitioner, or other applicable medical professional. NO information in this website should be used to diagnose, treat, prevent or cure any disease or condition under any circumstances. If you are experiencing an acute or chronic medically diagnosed condition, you must maintain treatment as prescribed by your physician. In the case of medical diagnoses, it is vital to work in concert with your physician to determine the best course of action. By using this website, or participating in any online program on this website, you agree to this disclaimer and will not hold Laura Schoenfeld liable for any decisions you make or outcomes you experience. 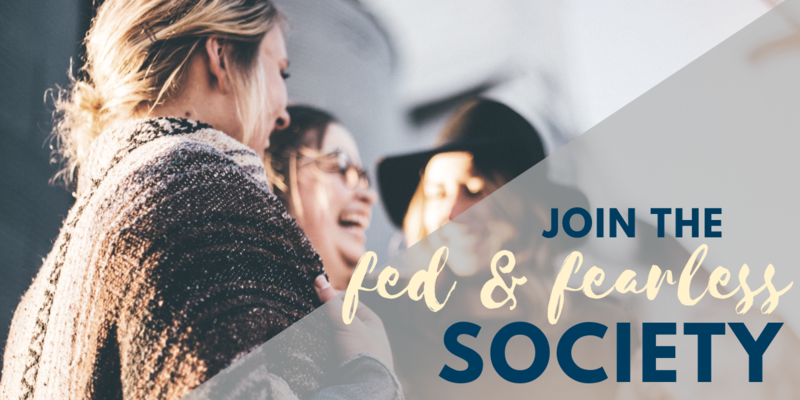 Join our free Facebook community to meet other women like you who are on the Fed and Fearless™ journey. Be part of a supportive online community of women who are becoming fearless in the pursuit of better health, together. 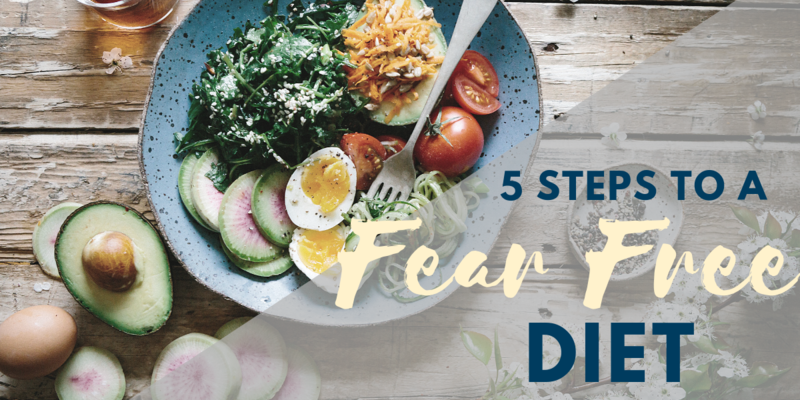 Enter your name and email below to download my guide 5 Steps to a Fear Free Diet and take the next step towards becoming Fed and Fearless™! By checking this box you agree to receive email communications from Laura Schoenfeld, RD.